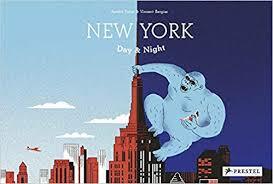 Whether you love, have visited, live in, or have never been to New York City, this book can be loved by young and old. If you are familiar with New York City, this book will remind you of all the cool things to love about the city. If you’ve never been or are maybe planning a visit there, this book will give your kids something to get excited about. This book is extremely unique by offering a translucent blue paper that turns the daytime colored page into nighttime. When you turn the pages, the nighttime view is first with a type of nighttime illusion. But, turning the translucent page reveals a different view of the same scene during the daytime. What appeared to be a spaceship at night, is really the Guggenheim Museum. What appears to be King Kong at night, is really a group of trees in Central Park. Kids will love seeing the different versions of the same photo while learning about one of our most amazing US cities. 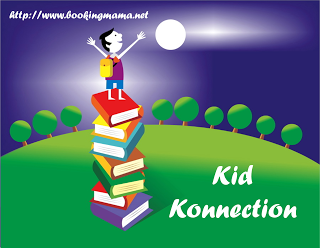 For kids that are maybe anxious about things they might see in the night, this book can also help reduce the anxiety by showing how the nighttime can create illusions of what is really there or not there. This book encourages imagination as well as creates excitement for a much-loved city. AURÉLIE POLLET is an author, art director, illustrator, and film director. She lives in Paris, France. VINCENT BERGIER is a French illustrator and musician. He lives in Paris, France.